Crete (Heraklion, Rethymno, Chania), Andros, Milos, Mykonos, Naxos, Paros, Santorini, Sifnos, Syros, Tinos, Corfu, Ithaki, Kefalonia, Lefkada, Karpathos, Kos, Rhodes, Chios, Ikaria, Lesvos, Samos, & Skiathos. Agrinio, Alexandroupolis, Igoumenitsa, Ioannina, Kalamata, Kavala, Corinth, Nafpaktos, Parga, Patra, Preveza, Sivota, Thessaloniki (Salonica), Volos and of course Athens. 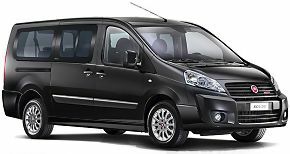 Solid border: car group available only for reservations starting in Athens or Thessaloniki. Dashed border: car group available only in the majority of the rest of served areas. Driver's age: minimum 25 years old for groups F1, F7, F2D, F7D, FD, J1, L1 and minimum 23 years old for the rest of the groups. Driving license: it is required to have a valid EU/International Driver's License held for at least one year. Across the border car rentals: it is not allowed to drive the car outside Greece. Ferry crossings: clients who wish to take the car on board a ferry must first have the written authorisation of the car rental agency; while on board rented car is not covered by any insurance. Rent it here/Leave it there: one way rentals are possible; please contact us for extra charges involved. The types of cars in each category are just indicative. 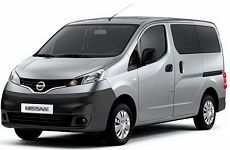 Very efficient delivery and pick up, any issues dealt with immediately, reliable car. Easy to pick and easy to return. This was the only hitch in the whole trip as you planned it. 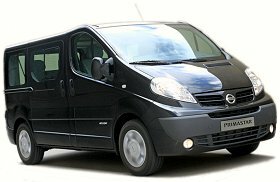 Instead of a car suitable for 4 we were given (at 11:00 at night) a ten seater giant van with two child car seats in it. The mirror was falling off and the whole thing was poorly maintained. When we said that it was too big to drive on narrow roads, the car company representative told us that there were no narrow roads on Crete---clearly untrue! When we phoned the next morning, we were given a more suitable replacement, but we had to drive to Rythmnos to pick it up---they would not deliver it. Next time I would recommend a different rental agency. We rented two small cars to get around the island of Andros. The car rental personnel expected us and readily got us on our way. The cars were not new and there was some difficulty with our car; the gas pedal did not always work. Despite this, we enjoyed our visit to Andros. We had a lovely meal north of the port city. It was enjoyable to visit an island that does not have cruise ships bringing large numbers of people. You might want to alert travelers that they should have GPS on their phone or another device. We're "old school" and didn't have that on our phone until the day after we finally found out way out of Athens. Our car was perfectly fine for the two of us. It would have been nice to have more than 1/8th tank of gas in the car when we got it, though. 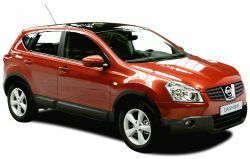 The car rental in Paros that we had arranged through Dolphin Hellas went off very smoothly, no complaints at all. A nice little car that served us well on the island roads. Our car rental on Sifnos went off without a hitch. This was the only problem we encountered. 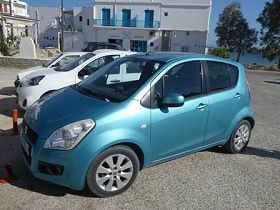 The representative from the car rental company did not meet us at Naxos port and did not find us until about 40 minutes had past. I called Aliki, however, and she and the car rental company's office in Athens did a great job locating the driver. Once we were able to get our minivans, everything was fine, and I really appreciated Aliki's availability on a Saturday. Worked better than expected. Met at baggage claim by agent, who personally helped us into the car and gave directions. Drove from Athens to Nafplion and back. Across the Corinth canal and were able to see Epidavros and Mycene. Excellent friendly representative brought the car to our Heraklion hotel and gave us instructions in English which we appreciated vety much. Easy pick up of the car from the local agency. 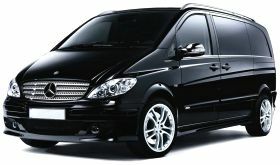 Category, type of car and services exactly as requested during our reservation. Car was fine and fellow we met with was very nice. We had a little trouble finding him once we departed the ferry. The fuel level was not full. We usually obtain a rental car with a full tank, didn't check the gauge and almost ran out of gas. It would have been nice to have the fuel level noted for us. Easy and very nice. Great little car, too. Once again...we arrived at the port, via Fast Ferry, which VIP on this 2hr ride Flew by and was great..big leather chairs and met a couple from Miami. We chatted the whole 2 hrs. Ok..car rental...we rented a Honda Civic, the guy was there to meet us and it should have been a simple hand off. BUT...he forgot to bring a map..duh..foreign country, not sure your phone GPS will work, PLUS you'll Pay out the nose to use our phone..So 5 min drive back to his office to get a map,,which wasn't that great so we rented a GPS from him. Well..that thing never worked ended up using our phones, thank goodness we took our car phone chargers, and FINALLY found our hotel in Heraklion as we didn't want to drive in a foreign country at night. the car rental was amazing! Excellent service by car company. Automobiles were in very good condition. Representatives very professional. Car delivered on time, and no problem with drop off either. Car worked fine and was to specification, but one of us found the gear stick was a little hard to get into first gear (due to wear?). Otherwise no problems at all. Older car with high mileage. Rate as below average. A bit of confusion where to meet up at the port that was sorted by a port officer. Car was what we expected - clean and new. Drop off was simple. Paros Airport pick-up and downtown drop off. Went very smoothly. Excellent service at the airport. We were blown away by how easy this was. The agent met us as we got off our ferry and then they met us at the curb at the airport to pick it up. I've never had such an easy car rental experience. Honestly, I was skeptical that this would go so smoothly, but it was REMARKABLE! Very easy process, easier than I had expected. While we had a breakdown with the first car on our first day, it was quick and fairly easy to get a new one to us! The new car was wonderful and we were very happy with the price and service. we were 5 hours late in Heraklion and the guy from Avance stayed late so we could get a car. It was awesome. The car on Rhode was kinda junky, but painless transaction. The car rental was interesting. We did not fully understand that we where to return the car at the Athens airport. Finally figured out that we were to wait in the no parking area for someone from the rental agency to show up. The area to return the car in Crete was not well marked. The cars were good. Just needed more communication regarding car return procedures. There were problems with the diesel van when they handed it over to me at the Athens hotel. The representative could not get it started. During the week we had the van, there was one time when it took over 15 min to start the vehicle. I sent my agent an email and within minutes (on a Sunday I think) for her to reply and within an hour or so, the van rental people called. The drop off at the airport was very well timed. the "Car rental services in Greece"
based on 40 customer ratings.